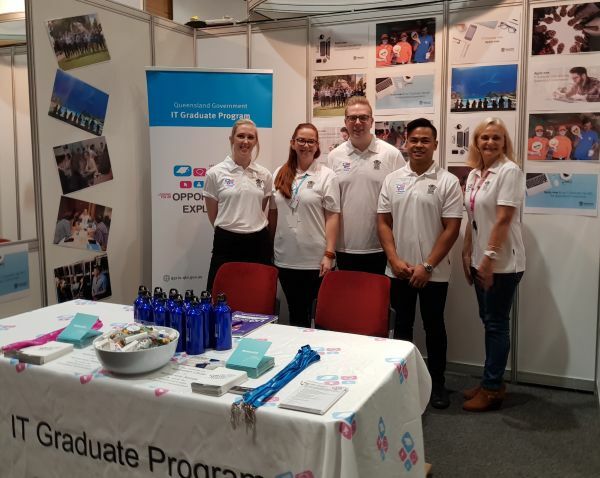 It’s been a hectic month of March for the IT Graduate Program team with back-to-back career expos promoting our award-winning program to university students across Brisbane campuses. Here we are at UQ with 2017 grads, Lauren (CITEC ICT) and Francis (Science), and Callam our enthusiastic HPW grad from the 2018 cohort. We are also getting ready to launch our campaign to departments in April for the 2019 intake! Visit Expand your team with an IT graduate for more information.